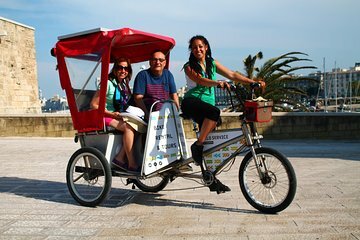 See Bari by rickshaw, and enjoy a fun take on a 3-hour historical tour of the city. As you relax, your guide drives the rickshaw around the city’s little-known corners and landmarks. Swing past the Basilica of St. Nicholas in Bari Old Town, and then travel to two of the city’s museums, which are decided on the day. Perhaps hop out to discover underground Roman walls in Il Succorpo della Cattedrale di Bari or walk among the art exhibitions of the Swabian Castle. As an extra bonus, a tasting of home-made Italian ice cream is included.